Founder John Marynissen was a pioneer in the Ontario wine industry. In 1976 he planted Chardonnay, Gamay, Gewurztraminer, Merlot and Riesling and two years later Cabernet Sauvignon, now the oldest Cabernet Sauvignon vines in Canada. John's decision to plant Vinifera was considered risky in our cool climate, however, that risk helped to shape the direction of the Niagara wine industry, alongside the work of other pioneers Donald Ziraldo and Karl Kaiser. Despite being small in size, Marynissen boasts state of the art winemaking equipment including a first of it’s kind - jacketed stainless steel fermentation tanks that eliminate the use of dangerous refrigerants while offering precise and rapid temperature adjustments. Wine to watch: 2015 Platinum Series Cabernet Sauvignon (made from those 1978 vines!). The Hare has branded itself around the long history of Niagara-on-the-Lake. All of its wine labels have been influenced by one post American Revolution map. The map, which is hanging on the wall of their VIP room, is a great draw for local residents who love to see who originally held the deeds to their current property. The VIP room also has walls that are made out of barrel staves. The barrel room was hand plastered and hand painted, using 1 metric tonne of plaster for that space alone! Finally, the production space has wine stained floors, having been doused with Baco Noir and then sealed. The Hare might a new winery, but that doesn’t mean it has new vines; their 20-acre lot is home to 24 year-old Riesling and Vidal grapes. Wine to watch: 2016 Crown Land White. A blend of Gewurztraminer (60%) and Riesling (40%), the wine pairs beautifully with spicy dishes like curry and Thai food. 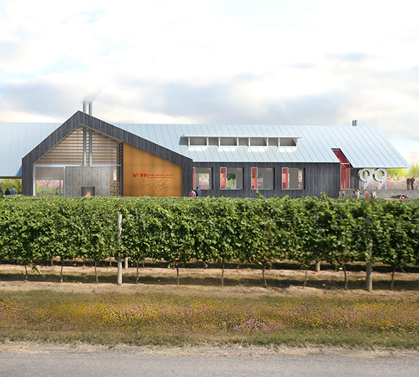 The new Wayne Gretzky Estates Winery & Distillery was designed by architect Gren Weis and integrates into the landscape with a contemporary vision and interpretation. 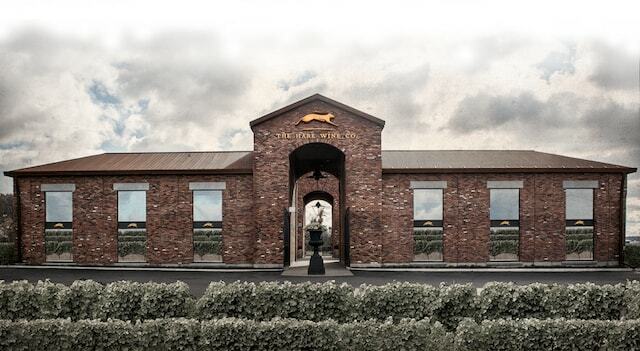 The facility includes a winery, distillery, tasting areas, retail and hospitality spaces and a barrel cellar. Under the direction of Andrew Peller Limited, winemaker Craig McDonald and distiller Joshua Beach have created a world-class portfolio of wines and whiskies. Summer or winter, you can visit The Whisky Bar patio. Enjoy casual fare created by Executive Chef Frank Dodd, hand crafted cocktails by estate mixologist Zac Kvas and Gretzky Estates wines by the glass. The summer water feature next to the Great Lawn becomes an ice rink in winter, complete with a ‘loonie’ buried at centre ice, dropped by The Great One himself at the groundbreaking ceremony in September, 2015. Wine to watch: Estate Series Shiraz Cabernet, a bold blend of Shiraz, Cabernet Franc and Cabernet Sauvignon.